Affordable, Reliable & Quality Services! Anytime you call we will be here to help you! We are a full-service junk removal and debris removal company providing quality service to residential, industrial, and commercial clients in all of Fort Myers. We offer a vast assortment of high quality junk removal services that can satisfy even the highest requirements and most specific needs of our customers. 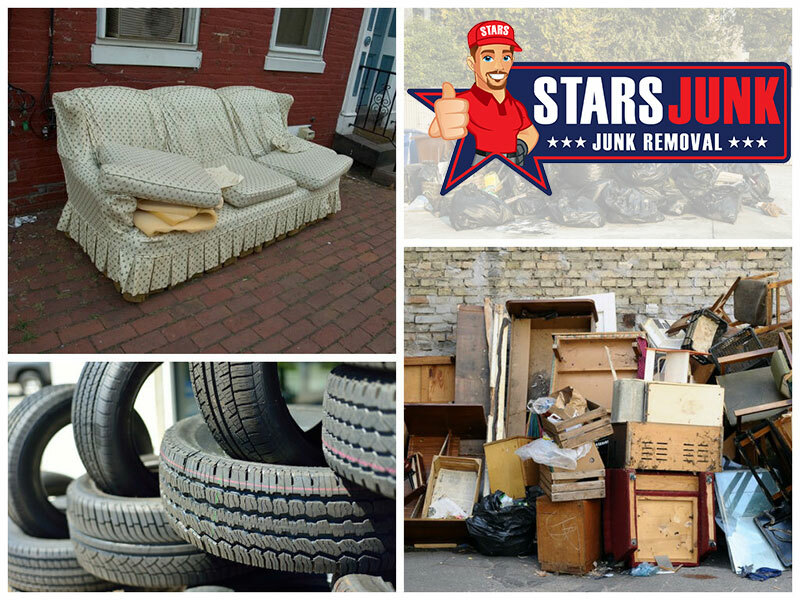 Stars Junk is suitable for junk removal needs and we guarantee that all the waste removed will be disposed of in a proper and responsible way. No matter how big or small the job is – our professional team can successfully handle any junk removal task. So, if have an old TV, a refrigerator or any other items which don’t work and simply occupy your valuable space and gather dust, call Stars Junk Services to dispose of them properly. With our professional junk removal assistance you will be able to get rid of any type of waste – from clothes, electrical appliances and furniture to garden refuse and refurbishment waste. Our first-class junk removal services are the best alternative to remove quickly and effectively any junk. Our service is rapid and easy, and best of all, you won’t have to do a thing except pick up the phone! Our office waste removal team are trained in the most safe and efficient ways to remove all kinds of office items. We are here to dispose of any junk even in unusual or unexpected circumstances. Hire Our Junk Removal Services Today! We take our clients feedback seriously, that's one of the reasons why we are so successful in Lee County Florida! We had a bunch of debris to get rid off, stuff that either the city won't take or that won't fit in a garbage bag, though not enough to rent a dumpster. It included a few broken down wooden cabinets and benches, baseball and soccer goals, wagons, glass-framed pictures, and old electronics. I called Stars because of all the great reviews and they offered to come out the very next morning. But Saturday was better for us so they accommodated that and arrived right on time. The guy took a look at our piles and gave us a terrific quote. The stuff was gone before we knew it and we have a clean garage again. Thank you, Stars! We'll call you every time! I've used this hauling service twice now. Very reasonably priced. Claudio was very responsive and professional when I texted him questions about the process. He is easy to work with and very quick to schedule an appointment to come over to get a quote. Initially I only wanted him to come over so that he can give me a quote; however the whole process was so painless that I just ended up getting everything hauled away anyways. I had a sofa - loveseat combo to remove. Contacted several removal service companies in the south bay, and Stars hauling offered the best price match with a quick response to my email. They came an exact time they promised and took my sofa shortly. I would recommend this company if you want the fast, honest, super friendly, and top quality work for your junk removal needs.